Apartments ending in 1-4 are located on the first floor, 5-8 located on the second floor. Wheelchair accessible units are only in 1 bedrooms in building 100 and end in a 1 or 2. Qualifications to rent include a credit check, rental history check, criminal background check, and income check. Income must meet 3 times the rental rate. Guarantors accepted if income does not meet 3 times the rental rate. 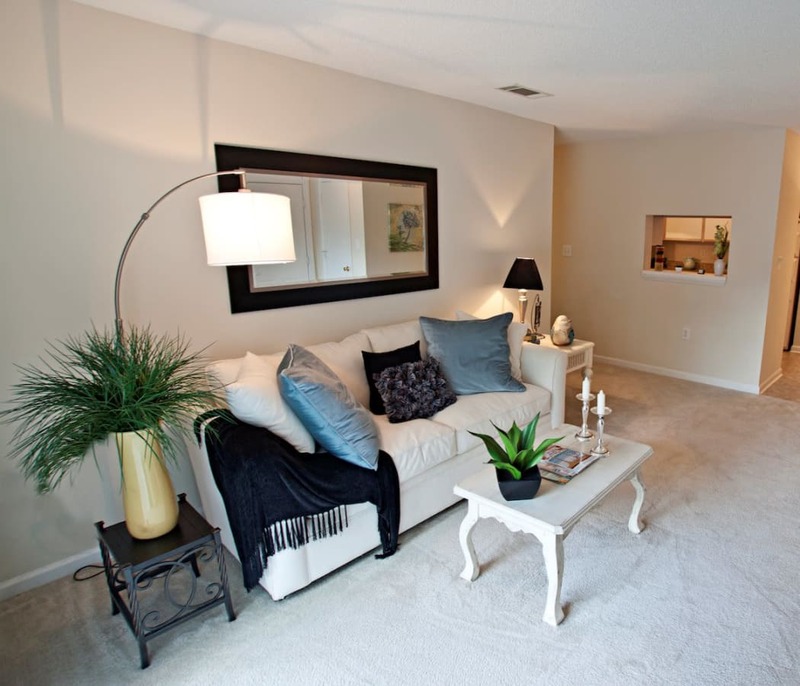 At Fieldstone Apartments, we have a floor plan for everyone. With one, two, and three bedroom apartments for rent in Mebane, NC, you can decide the type of life you want to lead. Whether you’re looking for a one bedroom apartment for you and the pup or want to split the rent with a roommate or two, we make it easy to do so. Our floor plans range from 750 to 1,188 square feet and provide plenty of space to kick your feet up and get comfortable. Live peacefully at the best location in Mebane. End your home search at Fieldstone Apartments with any of our one, two, or three bedroom floor plan options. We aim to make your days easier by providing you with functional interiors to help streamline your daily tasks. Washer and dryer connections will make laundry day a breeze if you choose to bring your own washer and dryer. Energy-efficient appliances will help keep your utility bill low while ample kitchen cabinets and counter space will make meal prepping and hosting dinners easier than ever. And with air conditioning in all apartments and ceiling fans in most, you'll be comfortable year-round. At Fieldstone Apartments, we’ve thought of it all for you. Once you’ve found your favorite floor plan, give us a call to schedule your personal tour.